There is rarely a day when I don't have to fit my laptop/camera/phone in my purse. These are my work tools and I simply cannot leave the house without them no matter how heavy or burdensome it gets lugging them around sometimes. 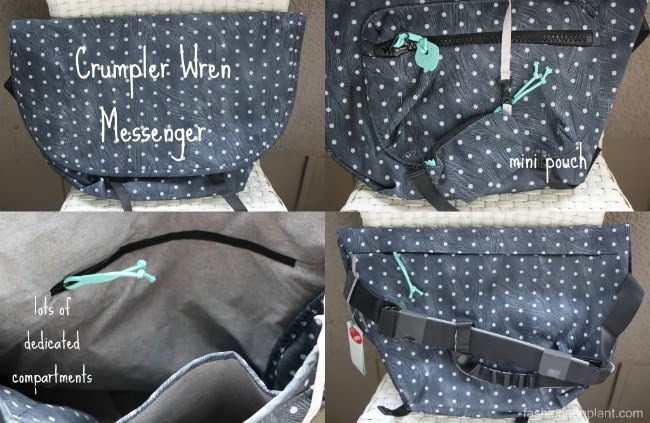 The new WREN bags by Crumpler address this issue and take much of the burden off it. Crumpler's new line was designed specifically with women in mind and inspired by the United Kingdom's Royal Naval Service of the United Kingdom (WRENS). During the First and Second World Wars, the women of WRENS served as cooks, radio operators, weapons analysts, air mechanics and pilots. They were recruited so that more men could be utilized as pilots for the fleets. These women proved they were capable of jobs aside from household keep and were later granted equal status with their male counterparts in the Royal Navy. To make sure strong women who know how to live are complimented with strong bags made for living. The new WREN bags by Crumpler retail for P2250-P5950.